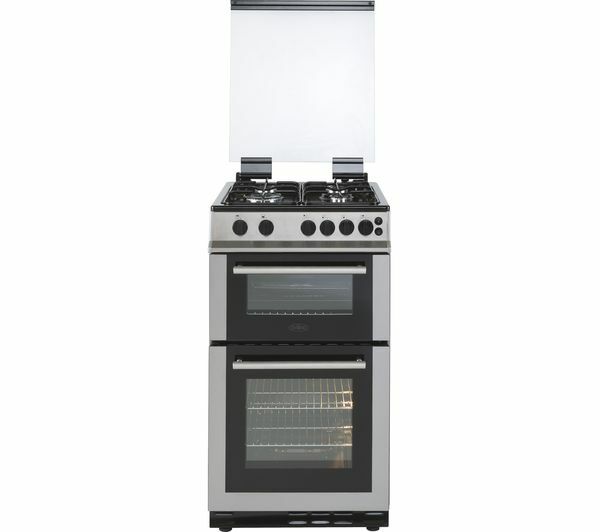 Prepare the perfect roast dinners with this Belling FS50GTCL thanks to conventional gas cooking. Due to natural heat convection, top levels will become hotter which is ideal for roasting meats while the bottom levels will remain cooler so you can gently warm desserts all at the same time. 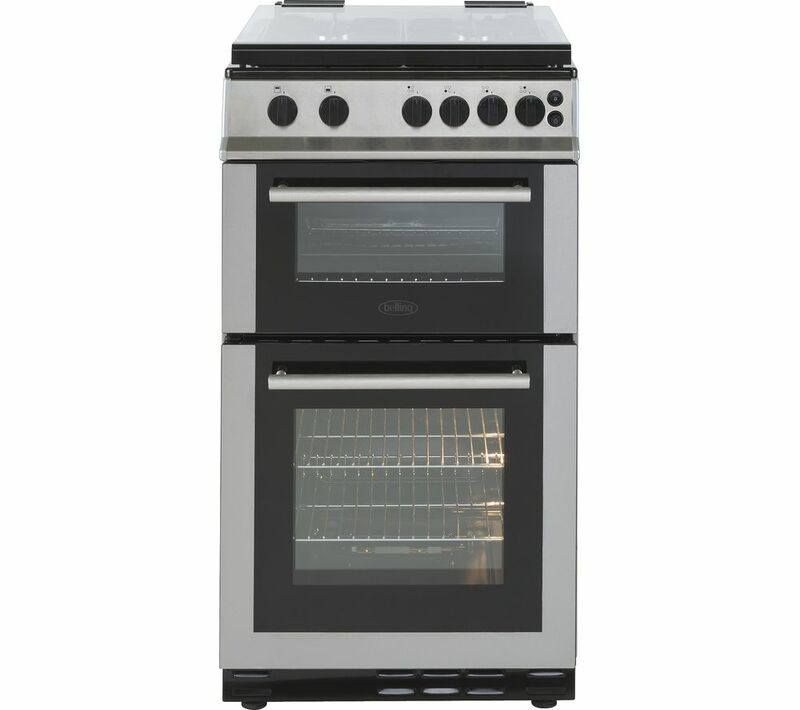 You can also prepare deliciously crispy meats and vegetables in the open door grill, which allows air to circulate around you food to remove excess moisture so your food truly grills rather than bakes. Prevent accidents and potential house fires while cooking with the gas hob thanks to the flame supervision devices, which cut all gas supply as soon as an extinguished flame is detected. Plus, you can also enjoy peace of mind while you're out of the house or not using your cooker hob with the auto shut off glass lid design. 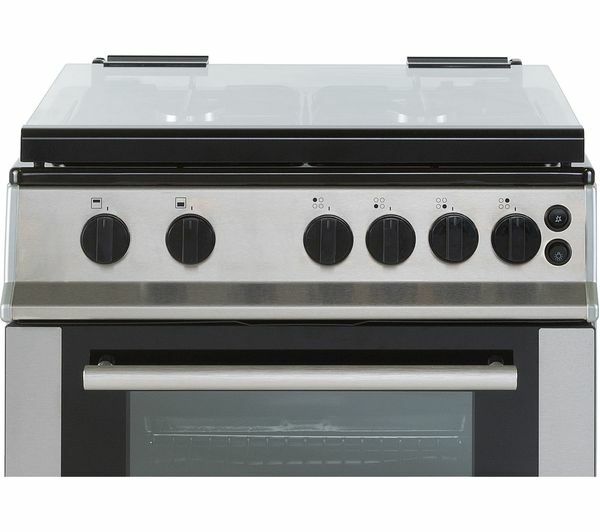 As well as providing extra work top space, your cooker's gas supply cannot be turned on while your lid is in the closed position. 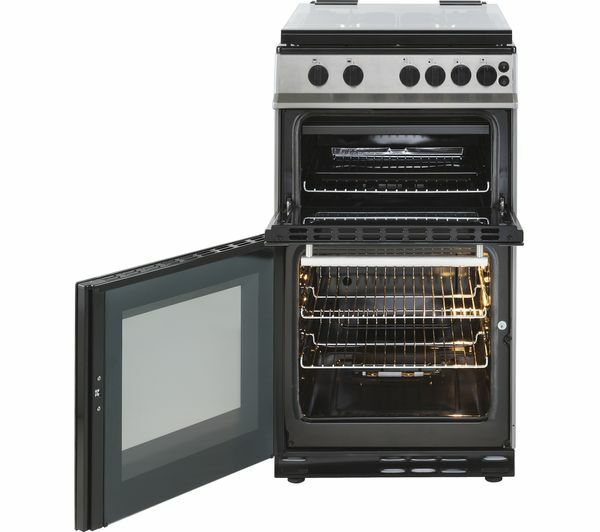 There's no need for hours of scrubbing or expensive cleaners thanks to the easy clean enamel liners featured in the oven cavity. Food and mess is prevented from burning onto you oven walls, so all you have to do is wipe away any residue with a damp cloth. It cooks food. That is literally the only good point and even then it's slow. It has broken less than a month of getting it, it was chipped when we received it. Quite a low cooker so not suitable for people with bad backs. Need to use a high gas mark to cook food at a normal rate.